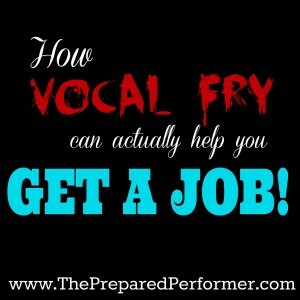 HOW VOCAL FRY CAN HELP YOU GET A JOB! Have you heard the buzz about Vocal Fry recently? (According to Wikipedia Vocal Fry is a sound “produced through a loose glottal closure which will permit air to bubble through slowly with a popping or rattling sound of a very low frequency.”) I already had a video with a vocal fry exercise set to release today when I saw several friends posting on facebook about Vocal Fry. What the heck!!?? Turns out it's not only used as a vocal exercise… it's seeped it's way into the speech patterns of many young women, and according to a recent study, it's preventing them from getting jobs. Here's an article that explains more. I TOTALLY agree that speaking with vocal fry at all times is not the best idea. However, you might not realize that it can actually help you to gain a more modern contemporary pop quality in your voice. AND it's especially helpful for men who want to have a stronger higher register instead of always flipping into a breathy falsetto quality. Next time you go to an audition this trick might actually HELP YOU GET A JOB! BE CAREFUL to really relax when you make this sound you shouldn't be grunting. It's like allowing your voice to sing lower than your lowest low note. Just chilling with your chords slowly vibrating allowing puffs of air to pop through. It brings your chords together with slamming with lots of tension. 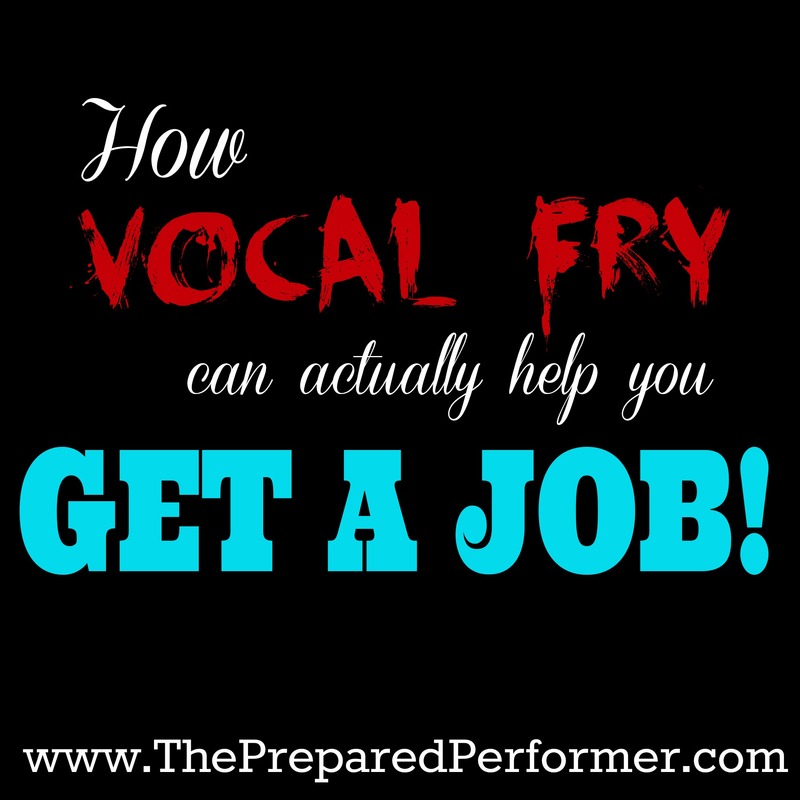 Watch this video for a great quick exercise using Vocal Fry to help you bring a more clear strong contemporary sound to your high notes. After doing this exercise, you can also incorporate it into your performing by add a little Vocal Fry to the beginning of notes that start with a vowel sound. For more like this watch this video about Glottal Stops. It's a similar technique. So, how did you do? Were you able to get a less breathy sound when you added vocal fry to your voice?